Offering you a complete choice of products which include steel cutting services, sheet metal laser cutting, stainless steel cutting service, mild steel metal cutting service, ss laser cutting service and stainless steel laser cutting services. 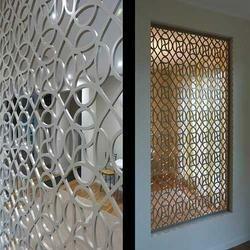 We are the prominent manufacturer and supplier of MS Laser Cutting. This MS Laser Cutting is extensively used in various fabrication and machinery. These products are available in the market in various sizes. 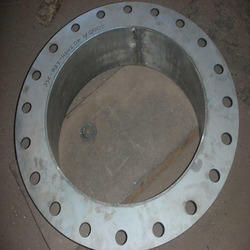 Our products are highly demanded among the customers due to their supreme quality and durability. We offer laser cutting services for prototyping, small volume production as well as production line integration. This helps in leading to overall cost saving and further helps in enhancing production efficiency as well as accuracy of finished products. 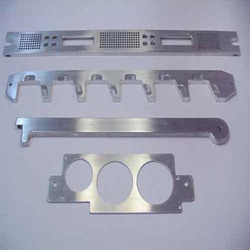 We provide service for laser cutting, cnc bending and Metal fabrication work in Stainless steel in best economical rates. Owing to our technical prowess, we have surpassed the competition by offering highly demanded Mild Steel Metal Cutting Service. We have gained specialization in rendering the highly advanced services for precision fabrication, and owing to the next generation laser cutting CNC machines our experts are rendering excellent services for cutting mild steel sheets with up to 12mm thickness. The offered services are suitable for making varied industrial parts and components as per the clients’ drawing and requirements. Further, the bona fide services can be availed from us at a nominal price. Being prominent providers, we are highly engaged in offering a wide array of SS Laser Cut & Marking to our esteemed patrons. Offered range is available in various stipulations in market at pocket friendly rates. We are making use of optimum grade material for designing these products which we have sourced from certified vendors of the market. Further, we offer them in customized as well as standard options. Rate is fpr 2 MM thickness St.steel and depends on Volume of QTY. We have gained much acceptance as notable entity offering next generation Stainless Steel Laser Cutting Services. Our well integrated CNC based infrastructure has made us the industry leaders rendering state of art services. We are providing efficient services for laser cutting of various substrates including 6mm thickness of stainless steel sheets. We are garnering varied engineering and manufacturing needs of our clients from diverse industrial sectors that seek precisely fabricated components and parts. Further, we are offering provision of customization for laser cutting services, which can be attained at an equitable price. 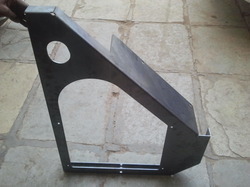 Our company is instrumental in offering SS Sheet Metal Fabrication Services to our prestigious customers. Our skilled and experienced employees make use of different types of advanced tools and equipment to effectively execute these services within the assured time frame. 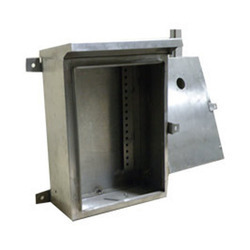 The stainless steel sheet metal can be fabricated as per the specifications provided by the customers. 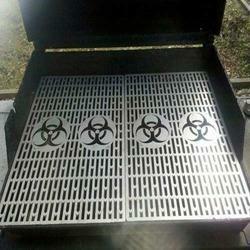 We have gained huge repute by offering highly effective Stainless Steel Metal Fabrication Services. 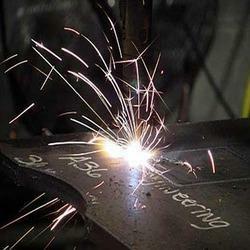 Our offered fabrication services are acclaimed widely for the assured accuracy and precision. 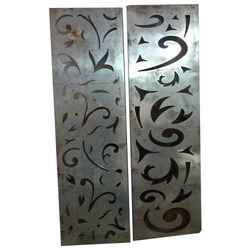 We are leveraging the advanced CNC based cutting, drilling, forming, bending and finishing techniques to fabricate client specific designs from stainless steel metal. The offered services are rendered by trained professionals under strict quality supervision and our prestigious clients can avail benefits of our professionalism at a competitive price.